Breakfast is the most important meal of the day, and this is especially true for long-distance runners. When you're deep in the throes of training, you're likely starting your long runs first thing in the morning, which means you need to start fueling accordingly right from the start. 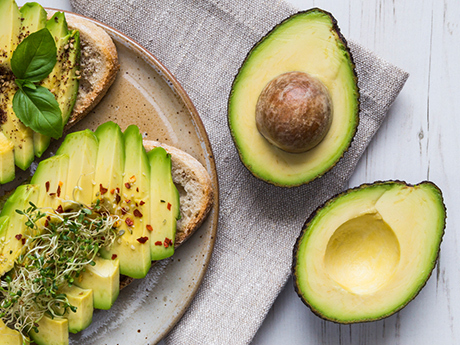 According to Starla Garcia, M.Ed, RDN, LD, a registered dietitian in Houston, it is important to eat before a long run to help your metabolism wake up. It also allows you to use the calories that you've consumed so your body doesn't start utilizing energy from your muscles. Preserving your muscle stores will reduce soreness later on. "Eating breakfast provides your body with energy to fuel your run so that you also don't start to plateau or feel bonked out halfway," Garcia says. "You want to feel strong for as long as possible and eating a breakfast can definitely help you feel your best the longer you runs get." Ideally, consuming a carbohydrate (food that will break down into sugar) and a protein will help you stay satisfied throughout your run, Garcia says. "I also recommend staying away from foods that are super high in fiber and dairy products, as these can cause stomach distress for some runners." Here are 10 quality breakfast options to keep you feeling strong during your long training runs. 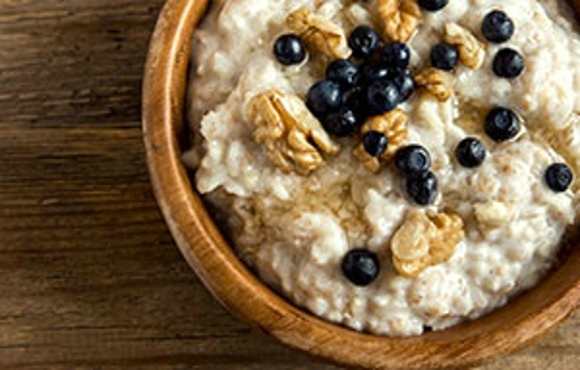 Oatmeal is quick and easy, but it's also a complex carbohydrate containing protein-filled grains, making it great for recovery. Prepare it with water and nuts--we love walnuts--to keep things easy on your stomach. A simple banana can sometimes be all you need in the morning, providing plenty of potassium and fast-burning carbohydrates. 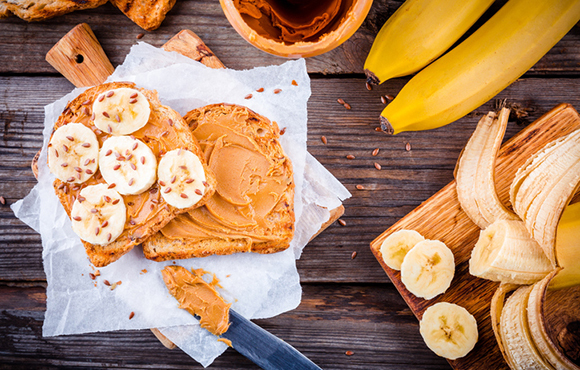 Pro tip: Slice the banana lengthwise and add your favorite nut butter to create a sandwich with a bit of protein and good fats. For runners going the distance, a slice of whole-grain or white toast can provide just the right amount of simple carbs before a long run. 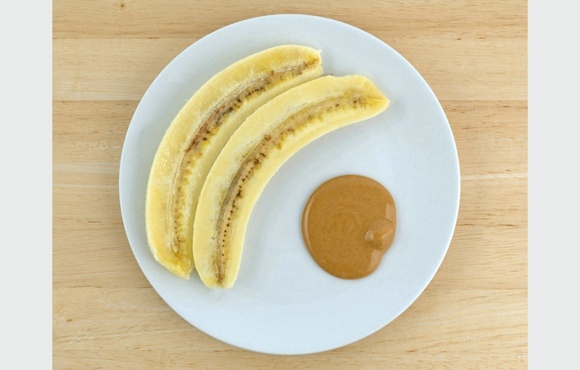 Creamy nut butters paired with bananas provide healthy fats to keep you satisfied. 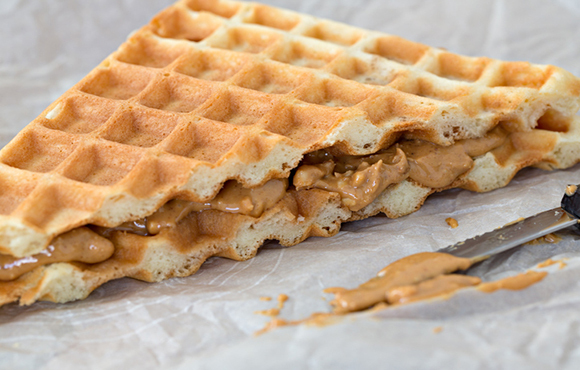 Toaster waffles are a great alternative to plain toast for those who pine for the sweeter things in life. Pre-packaged bars often get a bad rap for being packed with sugar, but there are actually plenty of quality options out there made with real-food ingredients like fruit and nuts. 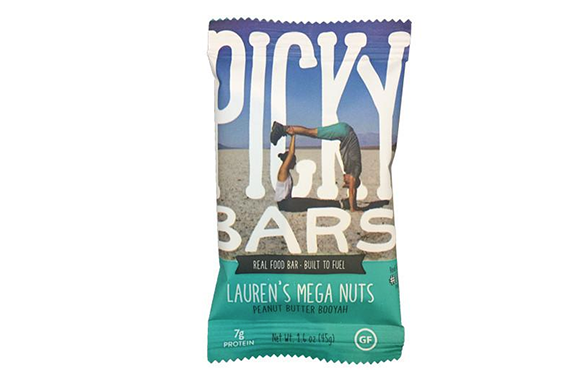 RX Bar and Picky Bars are just two brands known to have an optimal carb-to-protein ratio for runners. 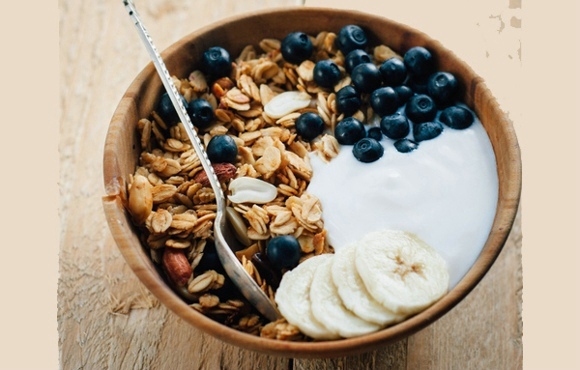 If you know you're not sensitive to dairy, yogurt is an excellent option complete with calcium, protein and good bacteria to prevent inflammation. 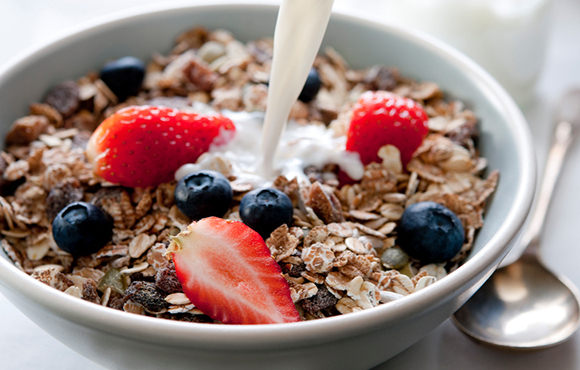 Granola and nuts provide additional carbs and healthy fats. 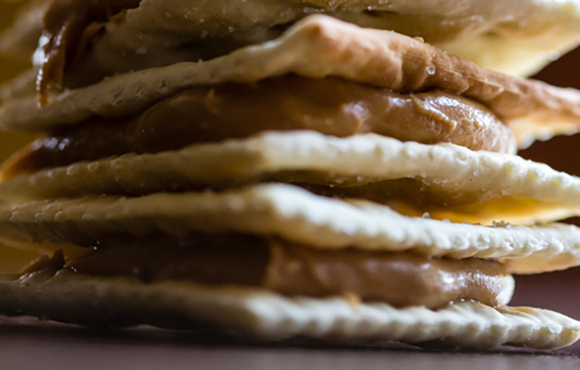 If you prefer something savory in the morning, crackers can be a good alternative to bread while still providing sufficient carbs. 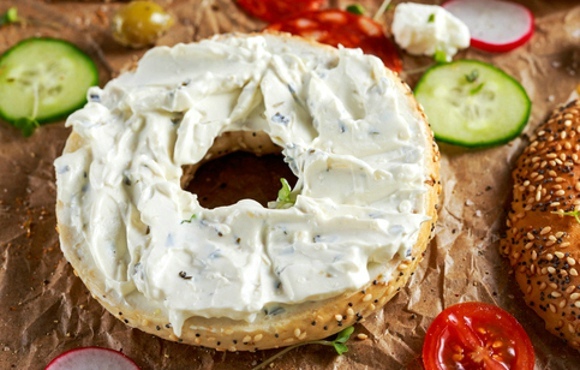 A bagel with peanut butter or cream cheese is another great alternative to toast or waffles, especially when you might need more calories for a run as long as 20 miles. 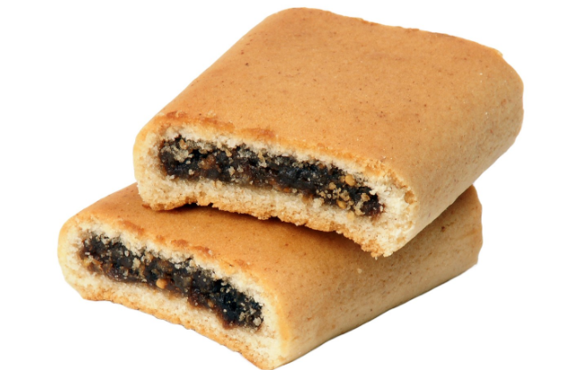 These soft cookies are a great alternative to breakfast bars, providing an optimal amount of carbohydrates with minimal added sugar. A cereal that's low in fiber and added sugar paired with almond milk can make for an excellent pre-run breakfast that's satisfying and won't wreak havoc on your stomach.